Resume Samples Check our free samples and build a perfect resume in just minutes. Tips & Tricks A one-stop source for the latest job searching tips and expert advice. eBook The Job Seeker’s Guide to the Galaxy has everything to get you started. Blog Latest news about job search, career, resumes, cover letters, and more. Kickresume is a powerful career documents builder that helps you create an outstanding resume, cover letter and a career website in a blink. Our story began with an idea: why can’t everyone have an outstanding and well-formatted resume? The result of this idea is Kickresume. We're a young, creative bunch of people passionate about turning ideas into reality. Our CEO takes care of business development and design. He loves trying every sport in the world and playing Photoshop pranks on his friends. He’s passionate about marketing and growth hacking. When he’s off his laptop and smartphone, our CMO enjoys snowboarding and good wine. Creating websites from a cradle, Tommy has experience both in front & back end development. When he’s not coding, he plays geeky video games. Our back-end guru. There isn't much he doesn't know about web development. In fact, there isn’t much he doesn’t know in general. When it comes to back-end, Martin can move mountains. And climb them too! He’s a keen mountaineer and loves to travel. Join the Kickresume team to help us engage new users and Kickresume-partners throughout the community. Send your resume at peter@kickresume.com. 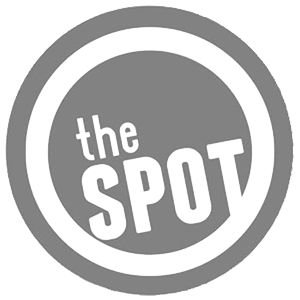 Backed and supported by The Spot Booster - the first startup accelerator in Central Europe. As a great startup enthusiast, he has founded and co-founded several successful projects and currently mentors a couple of others. He has co-founded the first coworking space in Slovakia - The Spot. Matej attended an intensive acceleration process on MIT and spent a couple of months in Silicon Valley thanks to winning Startup Awards with Nicereply in 2011. An experienced entrepreneur, startup evangelist and a trusted advisor to several Slovak startups. Peter co-founded The Spot, Spot Booster and The Booster Labs and actively contributes to fostering startup ecosystem in Slovakia. Previously a vice-president of First Data Corp. and a director of Arthemis Group. His stregths lie in B2B, management, business and strategy.